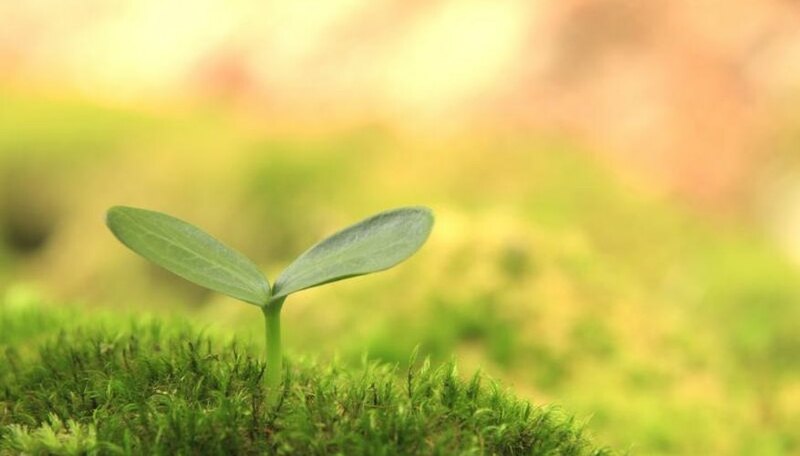 Nothing is quite as frustrating for home gardeners as the joy of seeing newly planted seeds begin to sprout and flourish one day and then discovering them collapsed and wilted the following day. Damping off is a fungal or fungal-like disease that makes seemingly healthy seedlings suddenly topple and die or, at times, never emerge at all. Although damping off is usually fatal, it is preventable. With a little attention to detail combined with good planting practices, your young seedlings will continue to grow into the healthy plants you want them to be. A number of pathogens live in soil, just waiting for the right conditions to occur before they step forward. The common pathogens that cause damping off are Rhizoctonia, Pythium, Fusarium and Phytophthora. They all develop and thrive in poor soil and less than ideal environmental conditions. Use a good-quality, soilless potting mix to start your seeds. Fresh potting soils are typically free from harmful organisms, and the nature of the mixes provide good drainage, another important factor in reducing the risk of damping off. Soggy soil encourages fungal or fungal-like growth. Keep opened bags of soil away from floors and other unclean surfaces that could transfer contaminants into the clean planting medium. When planting, place seeds at the soil depth indicated on their seed packet. Planting seeds deeper than required in any soil may slow their germination process and ultimately damage the seeds. Good air circulation and room ventilation are other factors in reducing the humidity buildup that promotes pathogen growth; do not crowd pots or flats, or the seeds when placing them in those containers. As they begin to grow, thin seedlings -- or remove some seedlings -- according to the seed package directions to keep air adequately flowing around them, which reduces the amount of moisture on the plants. In order to thin seedlings, snip or gently pull out crowded seedlings, leaving the seed package direction's required spacing between those that stay in the containers. Cool soil temperatures before the seeds begin to germinate promotes the risk of damping off. Help ensure healthy seed germination by keeping the soil at a consistent temperature of 70 to 75 degrees Fahrenheit during the seeds' entire early growth period. Keep the seeds and shoots evenly moist but not waterlogged until the risk of frost passes and weather conditions are favorable to move the growing seedlings into an outdoor garden. Many pathogens, including those that cause damping off, are transferred to new plantings via garden tools. Before working with plants and soil, or after contact with any disease, rinse your tools with a weak solution that is one part bleach to nine parts water. Leave the solution on the tools for at least 15 minutes, rinse it off and air-dry the tools. Planting seeds in new pots and flats as often as possible prevents contamination. If, however, using new pots and flats is not an option, sterilize the old containers along with your tools. Wear eye protection and gloves when cleaning pots and tools.